My upper lip is once again bared for the whole world to see. Hopefully I will not be ogled by too many philtrum fetishists. As you can probably tell by my lack of updates I am still really struggling to make comics: this is highly vexatious. In the interests of stopping worrying and re-learning to enjoy making comics, I am going to try to take on the Bad Comic Challange, as demonstrated by Nedroid and KC Green (whos bad comics I can’t find a link for) (and also sort of by Ryan Pequin), but my attempts last night were so bad that I was too embarrassed to upload them. I suspect this may mean I am missing the point of the bad comics challenge. 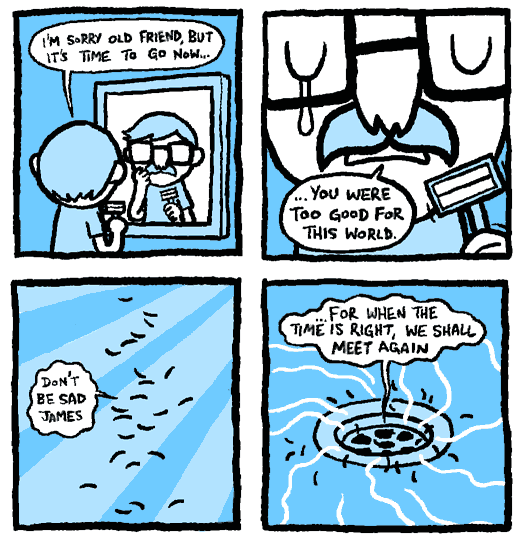 This entry was posted in Comics, News and tagged comic, moustache, plughole, shaving on August 18, 2009 by eruditebaboon. After pouring out a disproportionate amount of chocolate pieces with my cereal this morning, I put some back in the box. This is called ‘putting something away for the future’, and it is extremely mature. 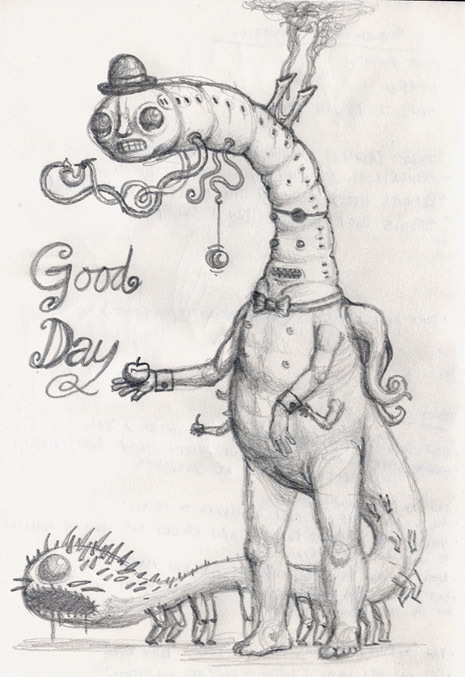 This entry was posted in News and tagged delicious chocolate pieces, really really grown up, totally mature on August 17, 2009 by eruditebaboon.